Shire Guernsey Apex Shed: The Shire Guernsey Shiplap Shed a useful and cheap large garden shed. The large double doors are an extremely useful feature especially when storing larger items like garden furniture, bbq’s and other garden items for the winter. 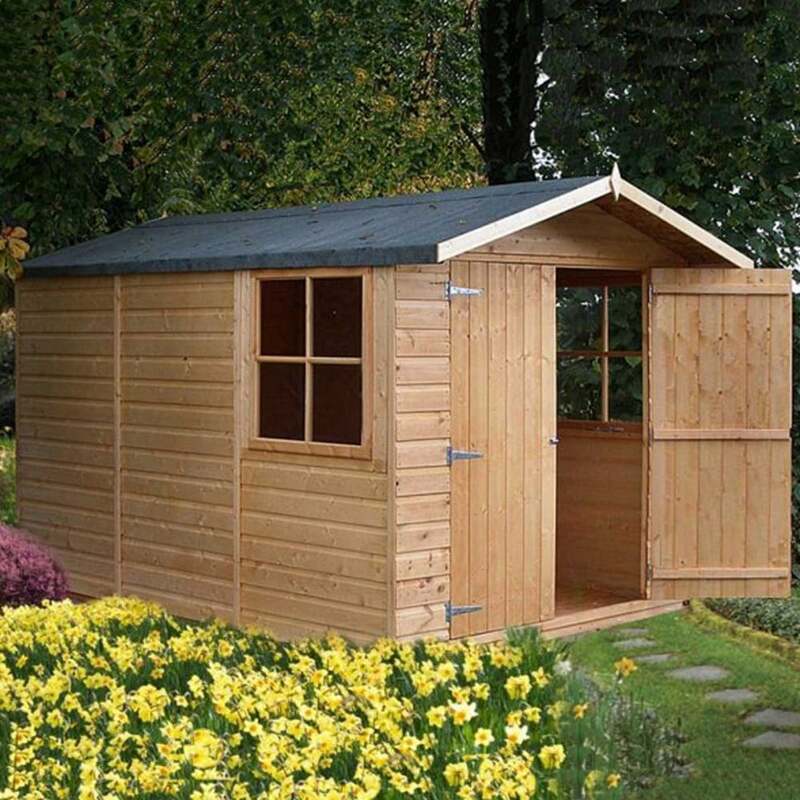 Very good Value for money Garden Shed. Frame: A robust Planed 35mm x 35mm Framework in walls and floor that gives the Shire Guernsey its Rigidity.